Russia's cutting-edge project 23560 Lider-class nuclear-powered destroyer will be set up in 2019. 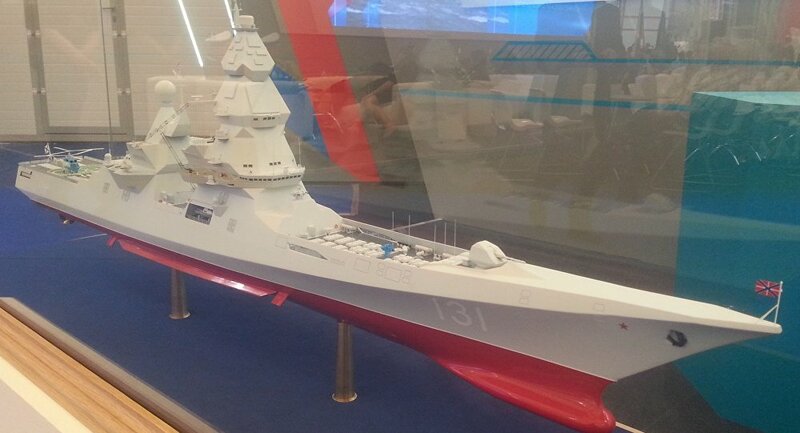 MOSCOW (Sputnik) — Russia's new advanced project 23560 Lider-class nuclear-powered destroyer is expected to be laid down in 2019, the Russian Navy's former First Deputy Commander-in-Chief Adm. Igor Kasatonov said. "The preliminary design of the ship has been prepared, a decision was taken to fit the vessel with a nuclear power unit. The type of reactor is currently being chosen. A submarine nuclear reactor has its own specifics, as does an icebreaker reactor. But we have extensive experience, this will be sorted out. Project planners will report on this. Regarding the laying down date, we are looking at 2019," Kasatonov said in an interview with RIA Novosti. The admiral, who also served as the head of Russia's Black Sea Fleet between 1991 and 1992, added that the project 23560 ship was likely to be built at the Severnaya Verf Shipyard in Saint Petersburg. Previously, the ship's construction was expected to commence in 2018. Lider-class destroyers are planned to have a displacement of 17,500 tonnes, length of 200 meters (over 650 feet) and a width of 20 meters. The preliminary project was approved in 2013 and work on technical plans is expected to start by 2017. The universal destroyer is set to replace three classes of ships, including project 1155 anti-submarine destroyers.